SpinSeeing as how I’m presently some combination of underslept, overtired, and probably hung over, I’m keeping this brief. Which is good because this week’s selection doesn’t really need a lot of description beyond, “it’s Titus Andronicus covering Nirvana’s ‘Breed'” – it sounds exactly as you would think it would, all punk, snot, and snarl. 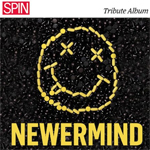 It was the New Jersey outfit’s contribution to last year’s Newermind, a tribute album assembled by Spin to mark the twentieth anniversary of Nevermind. Some of the other contributions may have been more creative or unexpected, but for capturing the intensity and attitude of Nirvana, Patrick Stickles and company got it right. Titus Andronicus are at Lee’s Palace this Tuesday in support of their third album, Local Business. I imagine the twentieth anniversary editions of In Utero are being readied for release next year as we speak. Frank YangIdeally, I’d have been able to label this one as “Metric covers Neil Young“, given that both acts are in town this week making sure the Air Canada Centre is still hosting some serious Canadiana even with the NHL locked out, but that wouldn’t be quite correct. Even though Metric as a full band can officially include the Young-penned classic “Expecting To Fly” in their discography, the track I’m posting predates that by a good five years or so when frontwoman Emily Haines was operating as a solo artist and the track was a staple of her live sets, padding out the Knives Don’t Have Your Back material in a sparse, piano-led form. That’s how Neil Young performed it in the early ’70s, whilst on tour as a solo artist after leaving Buffalo Springfield in the late ’60s, a far cry from the lushly-arranged studio version that appeared on Buffalo Springfield Again and which clearly served as the template for Metric’s version which appeared on their 2011 iTunes Session. You could probably draw a flowchart of some kind denoting the relationships between the various versions. Go ahead. I’ll be over here. Neil Young & Crazy Horse are at The Air Canada Centre on November 19 in support of their two 2012 releases, Americana and Psychedelic Pill. For a while, it looked like Neil’s next time through town was going to be as part of a reunited Buffalo Springfield, but obviously that didn’t happen. 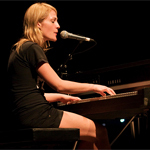 Metric are there on November 24 as part of a cross-country tour on the back of their fifth album, Synthetica. And oh yeah, Neil turned 67 last week. Happy birthday, Neil. Long may you run. WikipediaTrue story – I was letting my iTunes run on random a couple weeks ago, and when the opening guitar riff to this week’s selection rang out, I sat up and thought, “why do I have Stone Temple Pilots in my music library?”. Because, you see, I never listened to Led Zeppelin as a young’n – like really never – and only knew “Dancing Days” because it was released as a single from 1995’s Encomium, a Zep tribute album. 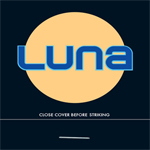 But no, it was my beloved Luna and the track was one that I had forgotten existed, one of the bonuses that came with the late-era Luna digital reissues from earlier this year – their final two studio albums Rendezvous and Romantica, and the Close Cover Before Striking EP, to which this track was appended. It’s pretty faithful in structure – that riff must be lots of fun to play – but is so very Luna from top to bottom. The drums are bigger than you’d usually expect, but Dean Wareham’s slightly detached and deadpan vocals and the swirling, fuzzy guitar tones makes me miss the band so very much. Celebration Day, the live document of the 2007 Led Zeppelin reunion show, is out on CD and DVD on November 19. If and when we have a Luna reunion, it will probably be a little smaller in scale… but until then, we have Wareham’s first solo record – currently being recorded – to look forward to.